Starting point: Pro-loco building (car park nearby). Directions: from the car park arrive in Ss. Peter and Paul’s square; go past the church and take the road on the left. Go past Cavour square until you reach a helipad. Turn right, go straight up to a crossroads and after 50 m take the path on the right. After the water source take the path plunging into the woods on the left, going past a picnic area named “Chiosco”. At the next intersection go straight; on the main road take the path on the left towards “Valle Dolce”. Go on a cobbled street up to an intersection and turn right. Go on for 1 km up to another intersection, turn right towards area “Plass”. Before the water source and the pond turn left and, then, right. Follow the directions on a dirt road until reaching a field with a picnic area, a small church and a pond named “Pozza d’Ast”. The track goes on a downhill path just on the right of the church. 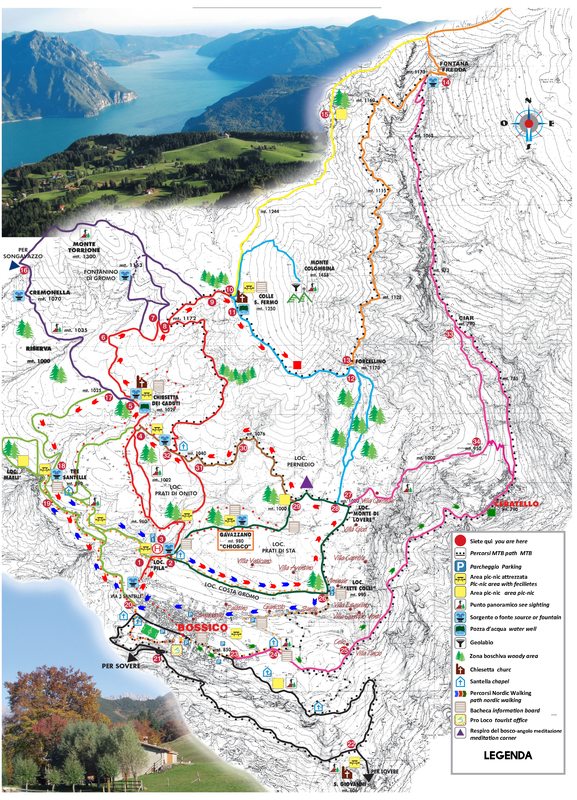 Go downhill up to “Tre Santelle” and return to the village by following the directions.